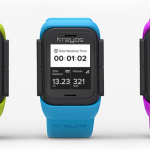 The Kreyos Meteor is an all-purpose smartwatch designed to help you keep your phone in your pocket. With it you can answer and make calls, send and receive text messages, track fitness stats, and receive various notifications in realtime. Of course, the watch needs to be paired with a smartphone to take advantage of such functionality. It uses a low power 1.26 inch e-ink display (grey, black/white) running at 144x168 resolution. It features a 7 day battery life thanks to its 150mah rechargeable battery and connects via USB for charging and OS updates. 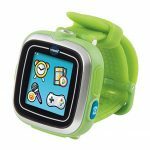 It�s available in several different colors like charcoal, white, pink, blue and more.